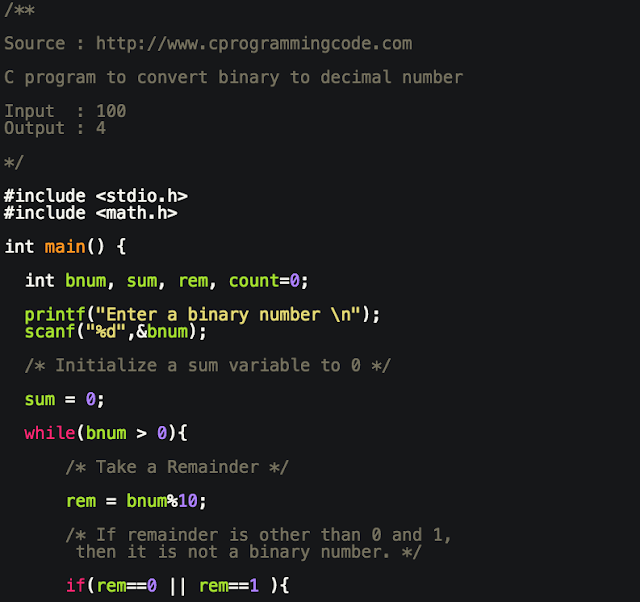 Write a C program to convert binary to decimal number. In this programming question, we are going to write a code which takes binary number as an input and print their decimal representation. This question is very important in terms of technical interview. Let's assume, we have to convert 100 to decimal number. Similarly, we can convert any binary representation into decimal number.